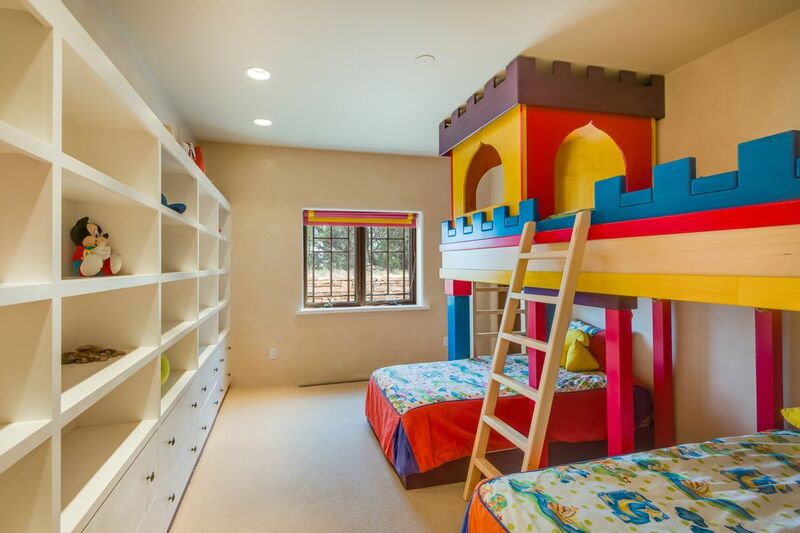 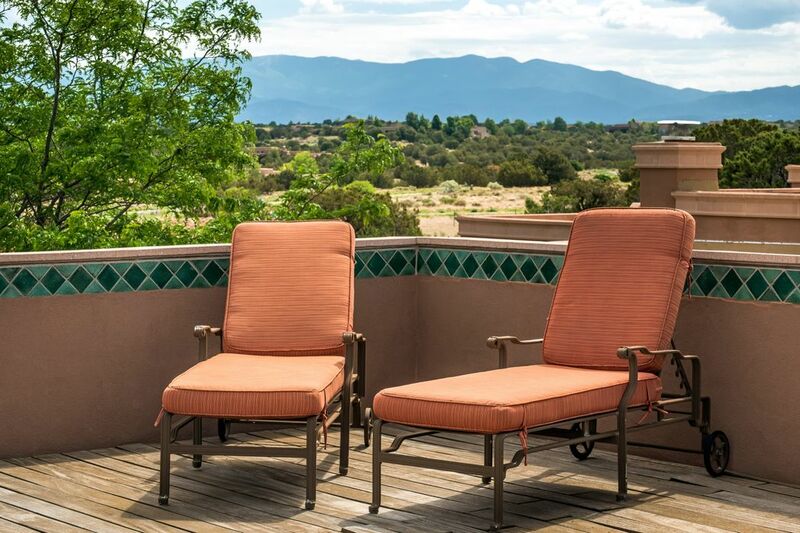 137 Thundercloud Road, Santa Fe, NM 87506 | Sotheby's International Realty, Inc.
$1,695,000 5 Bedrooms5 Full / 2 Partial Baths6,946 sq. 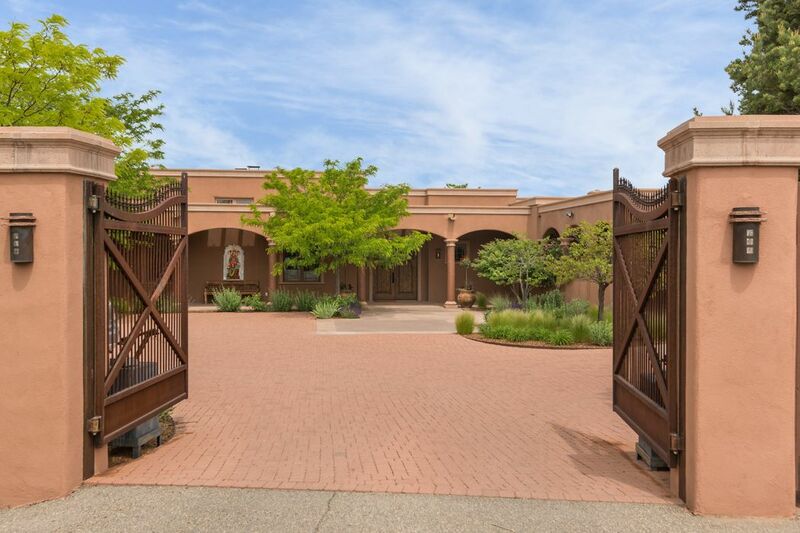 ft.
Just inside your private gate, this estate property defines the gold standard for beauty and reflects the personality and taste of those accustomed to the best in quality, design, finishes and lifestyle. 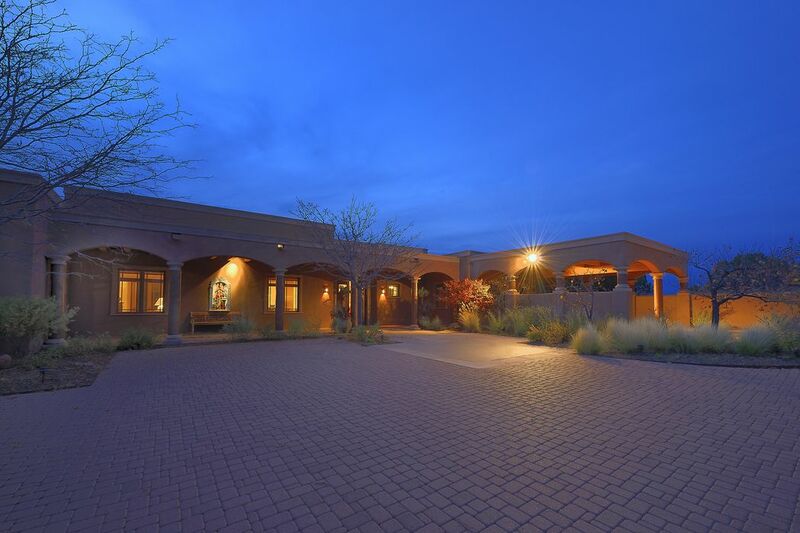 Designed by renowned Santa Fe architect, David Millburn, this 5 bedroom, 7 bath masterpiece has two completely separate living spaces, including kitchens, living and dining areas and bedrooms, providing unique and perfect separation for multi-generational families. 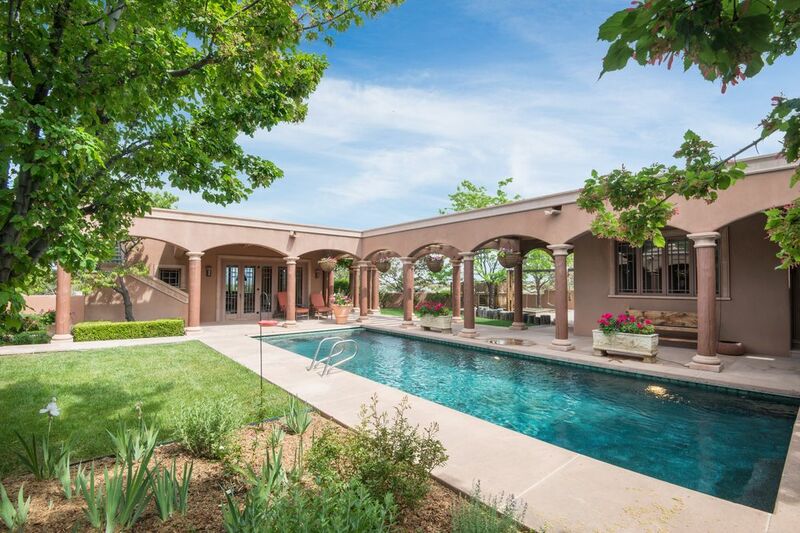 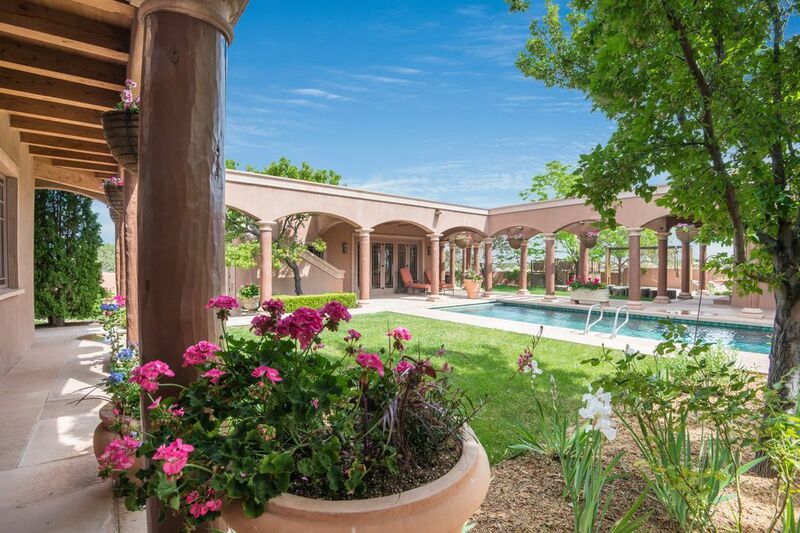 Nearly 7,000 square feet of elegant Santa Fe living with Tuscan touches surround a courtyard complete with pool and pool house making this home feel like a private resort. 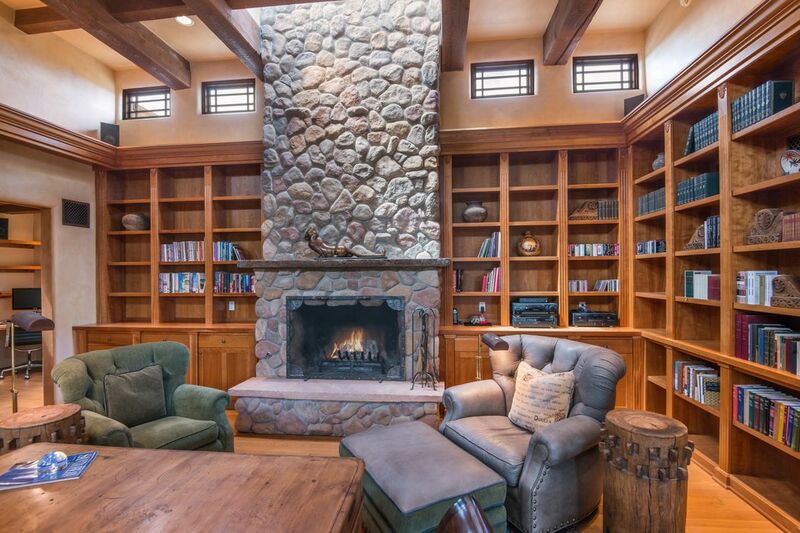 The master suite also features a stunning library with a floor to ceiling river rock wall fireplace. 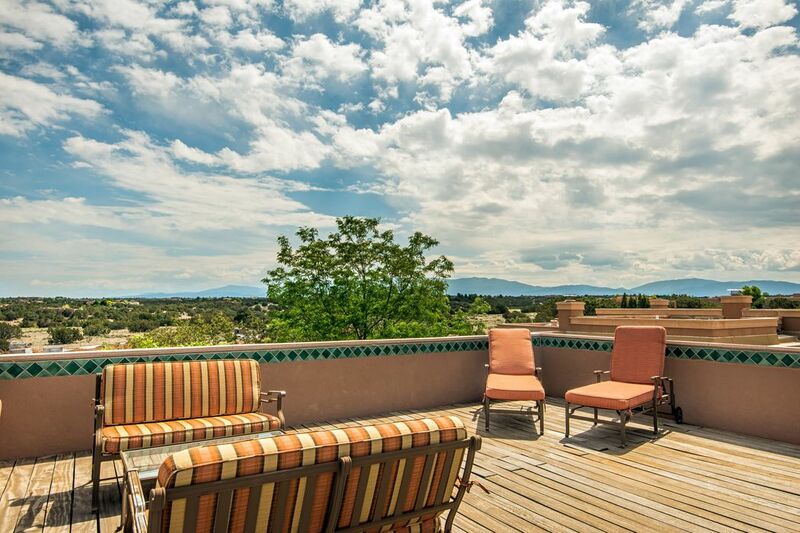 The home’s pool house features a rooftop deck complete with hot tub and breathtaking views of the Jemez and Sangre de Cristo Mountains. 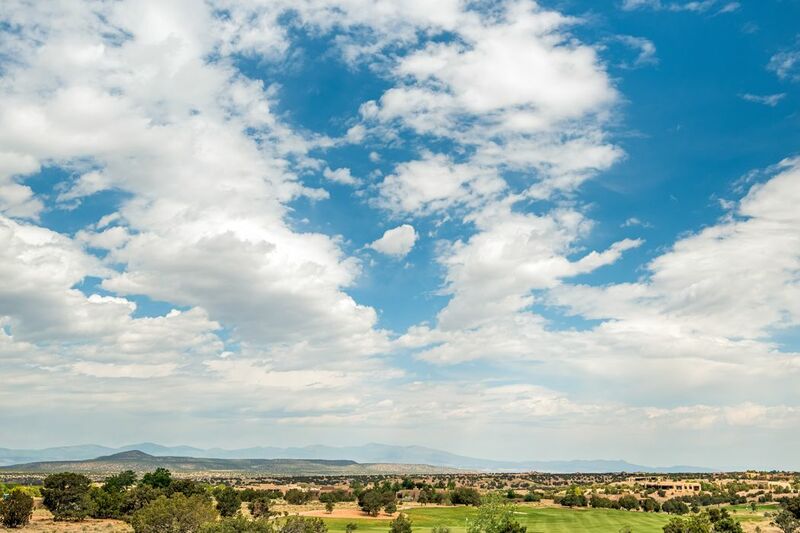 This estate borders the ninth hole of Las Campanas Sunset Golf Course, providing the perfect place to practice putting or finish your nine holes. 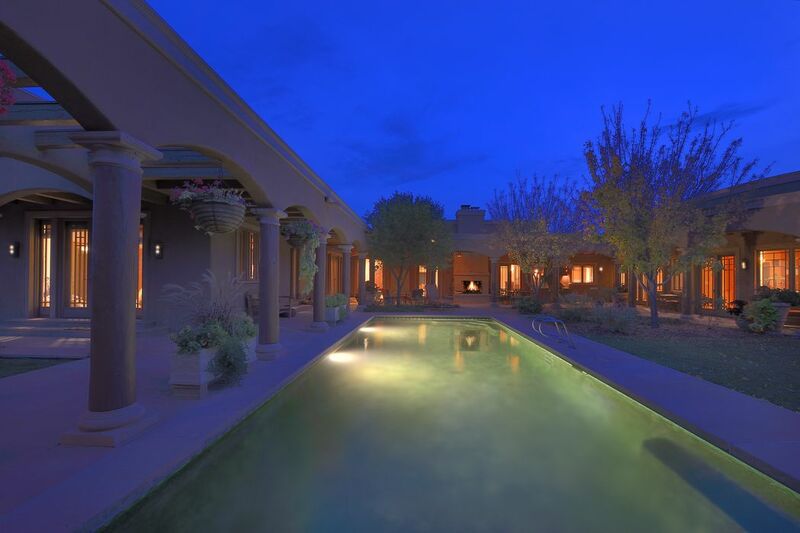 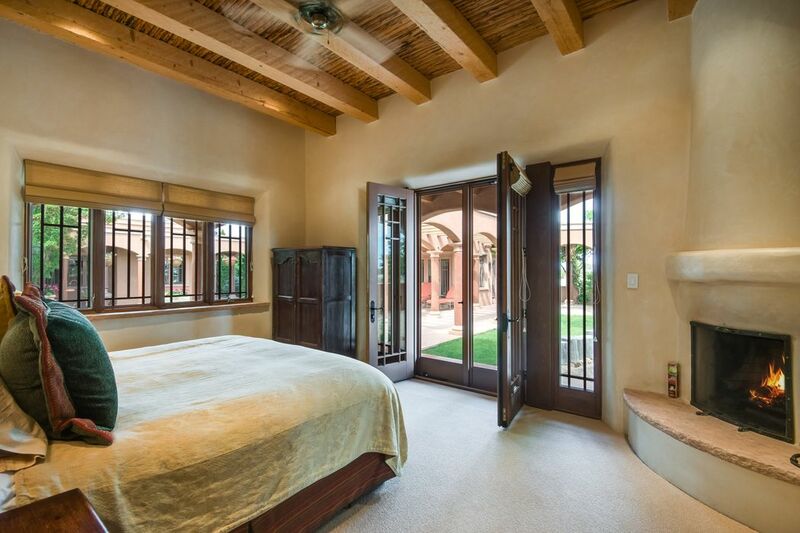 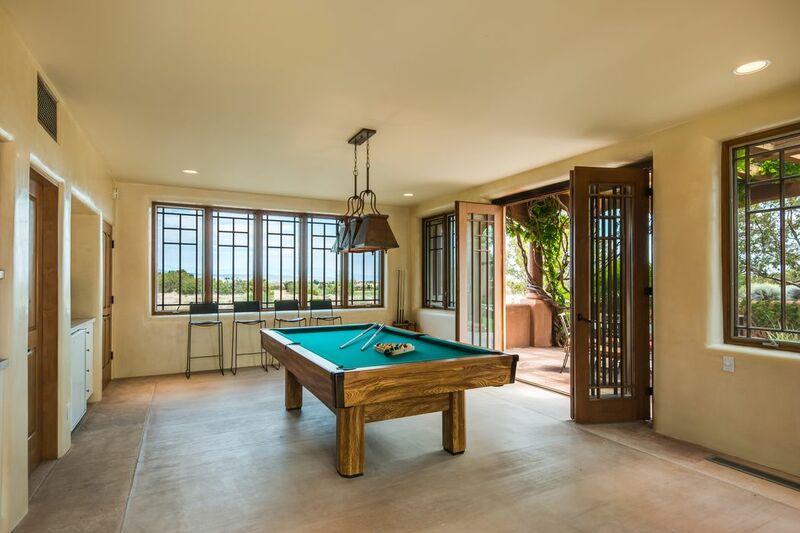 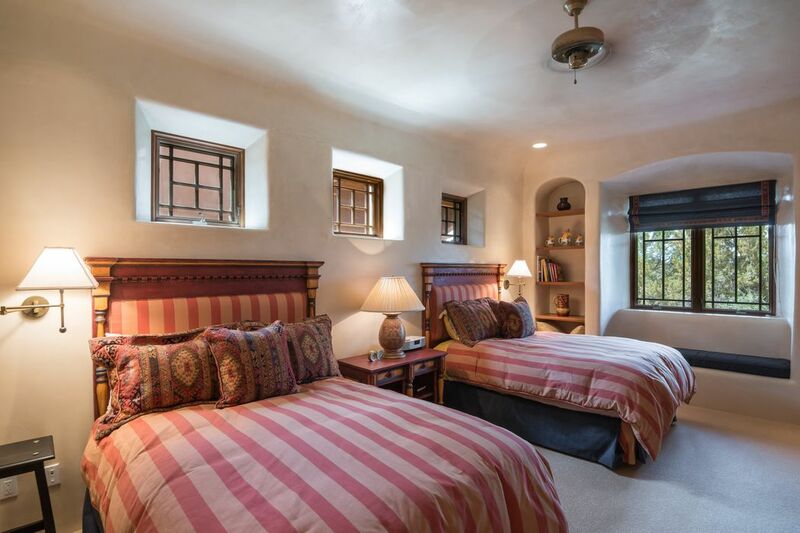 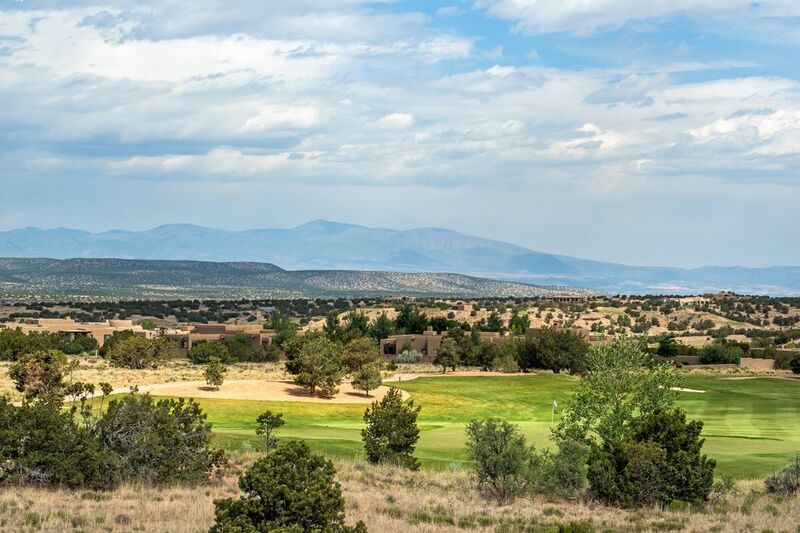 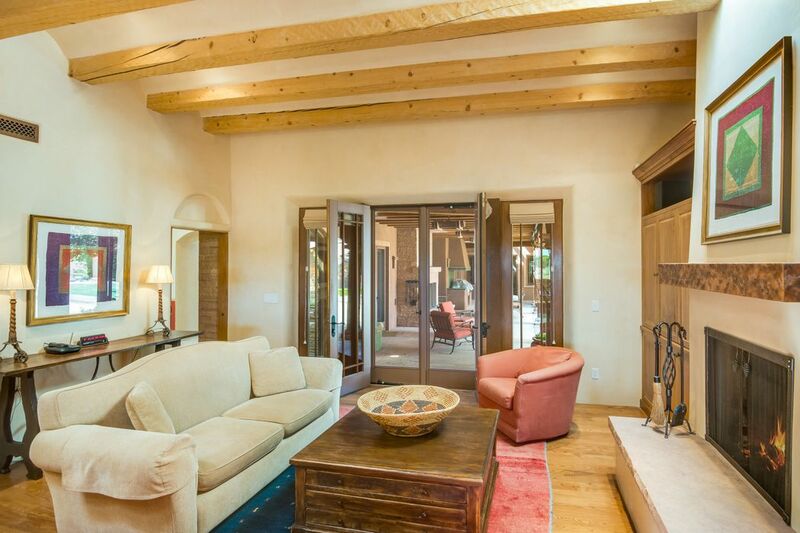 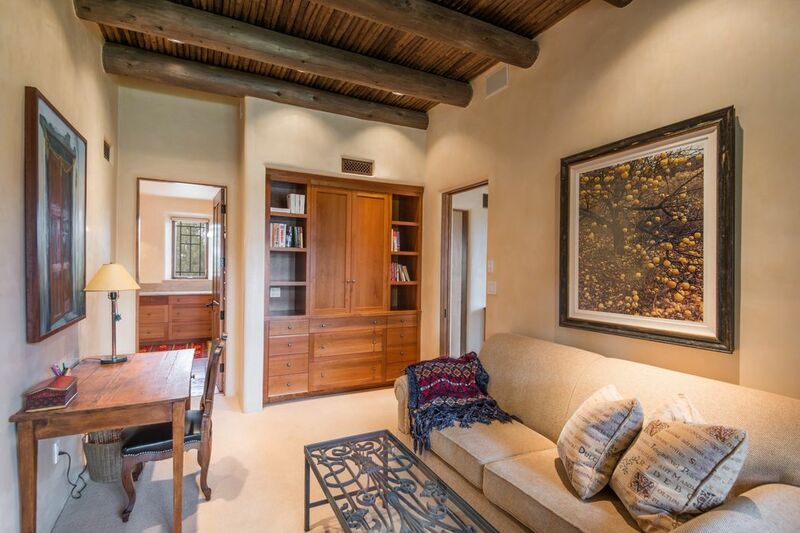 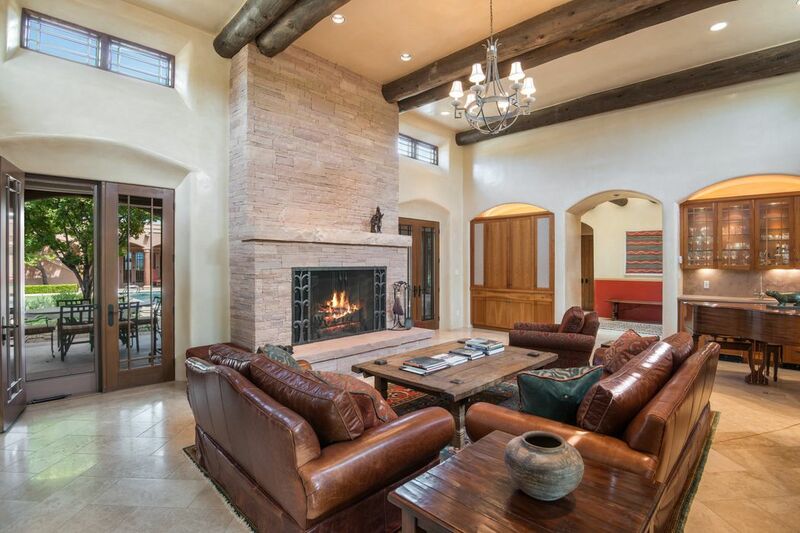 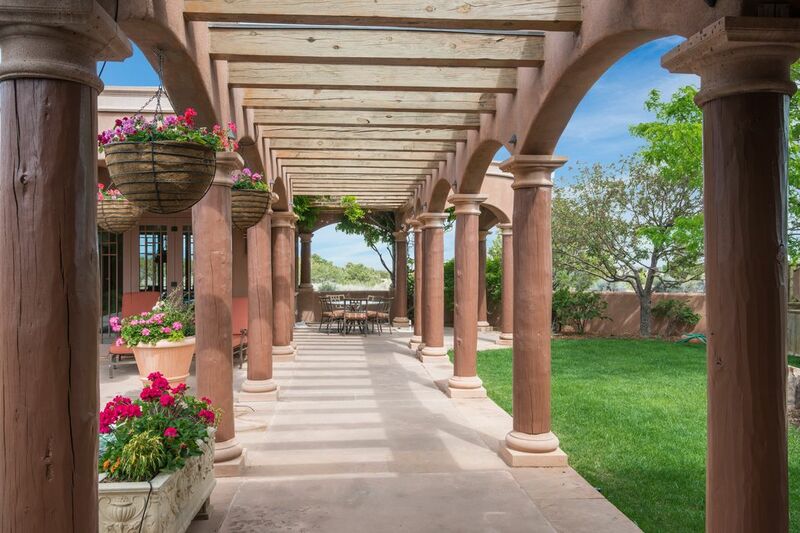 Add to this all of the amenities of Las Campanas, including two Jack Nicklaus Golf Courses, tennis, a state of the art athletic club and spa, plus a world class equestrian center and you have one of the most spectacular properties offered in Santa Fe. 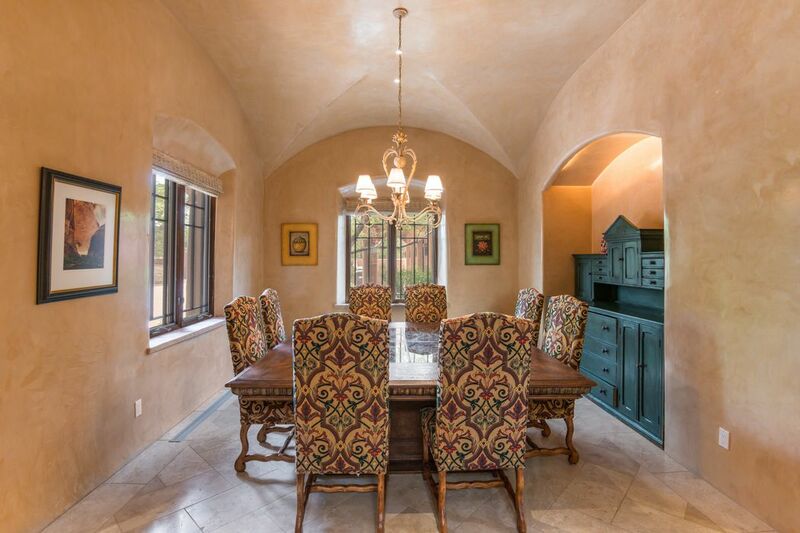 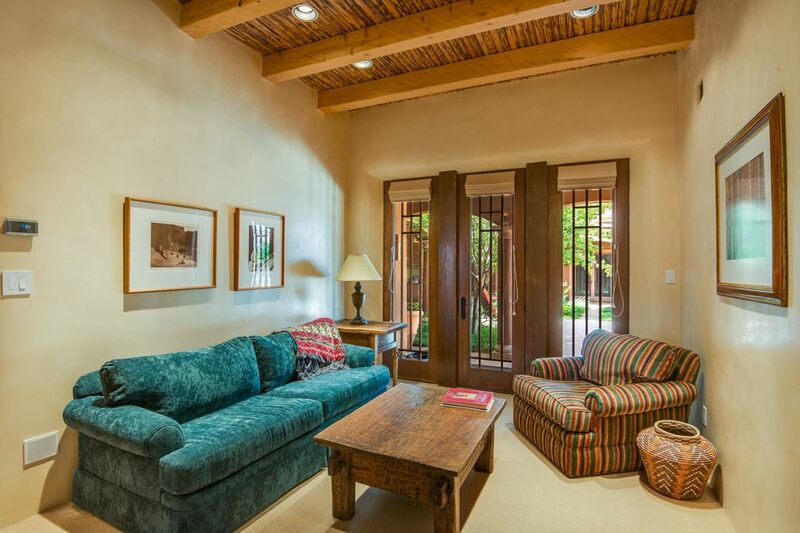 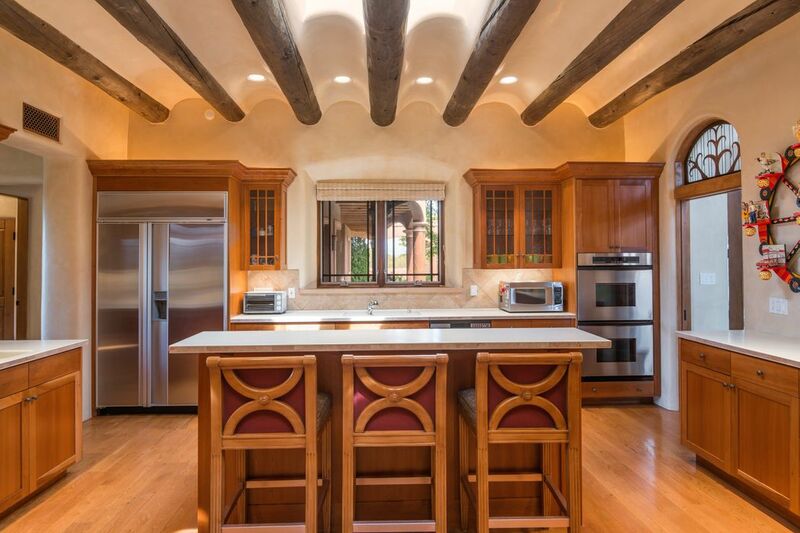 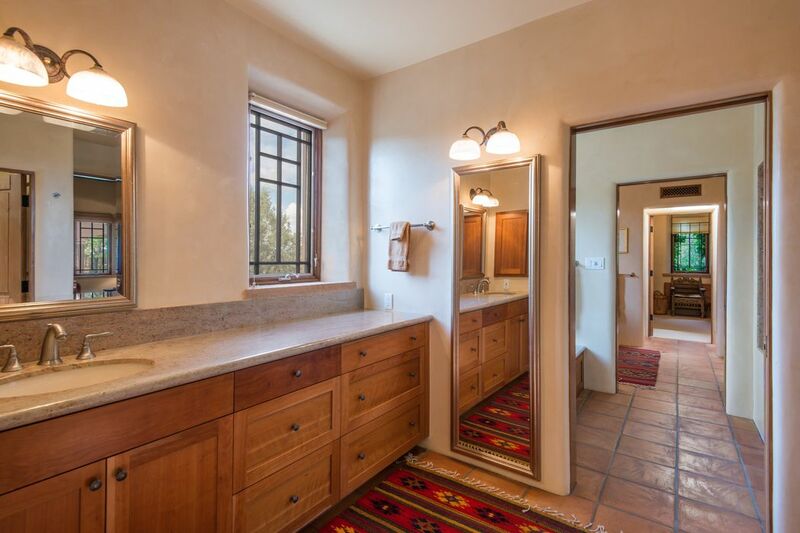 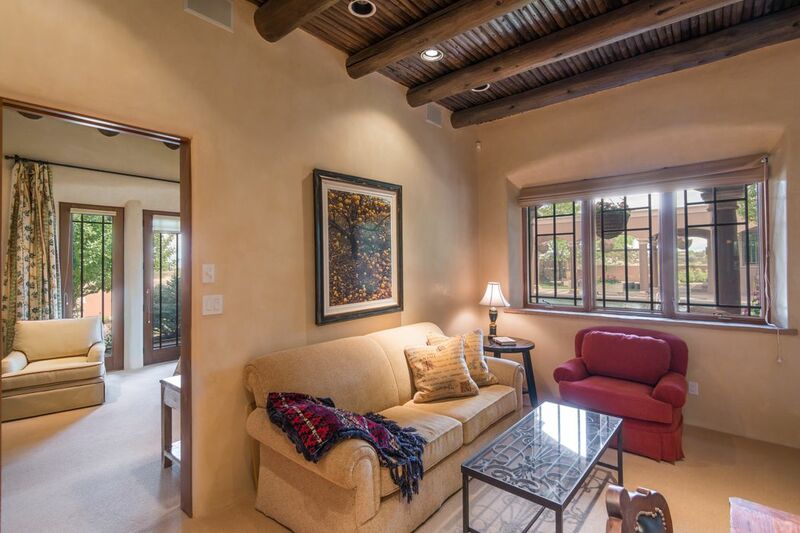 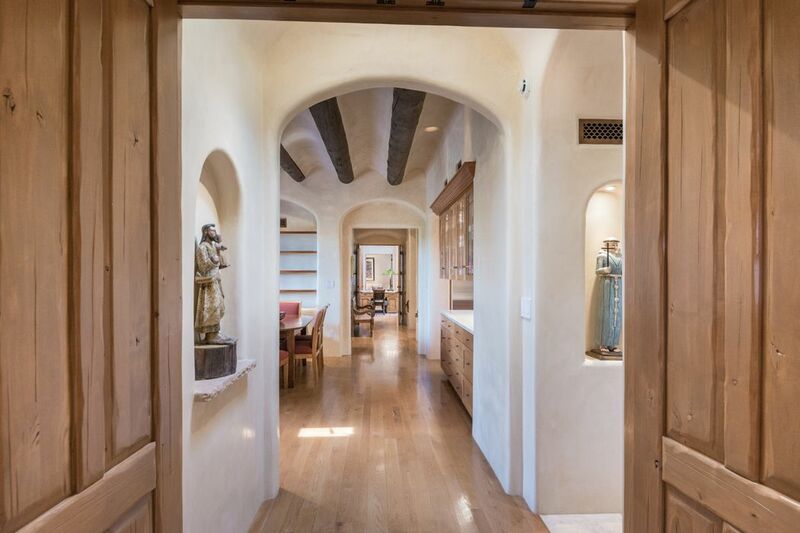 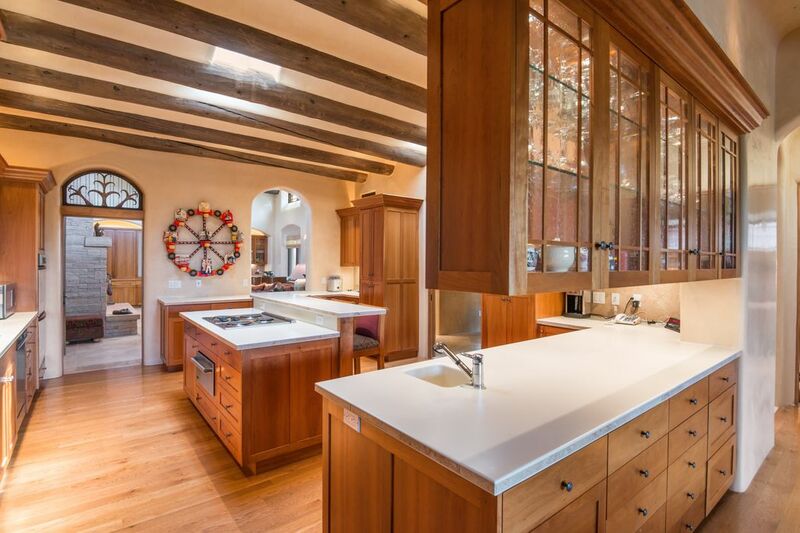 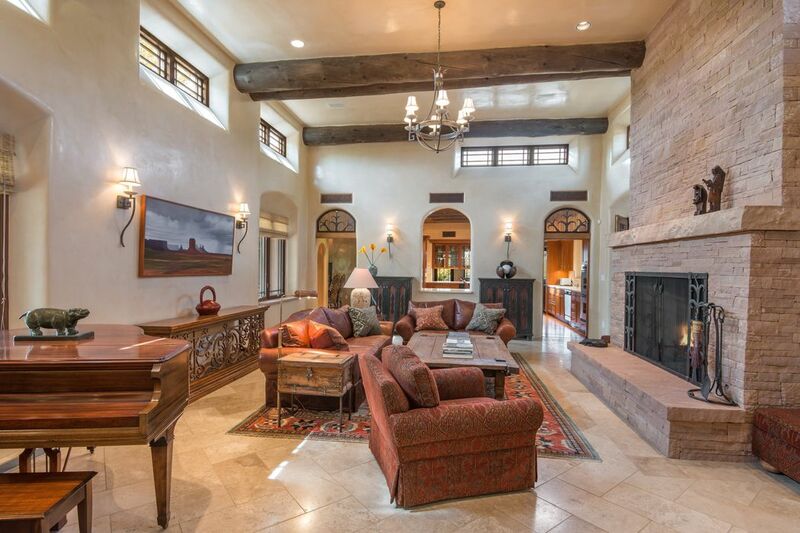 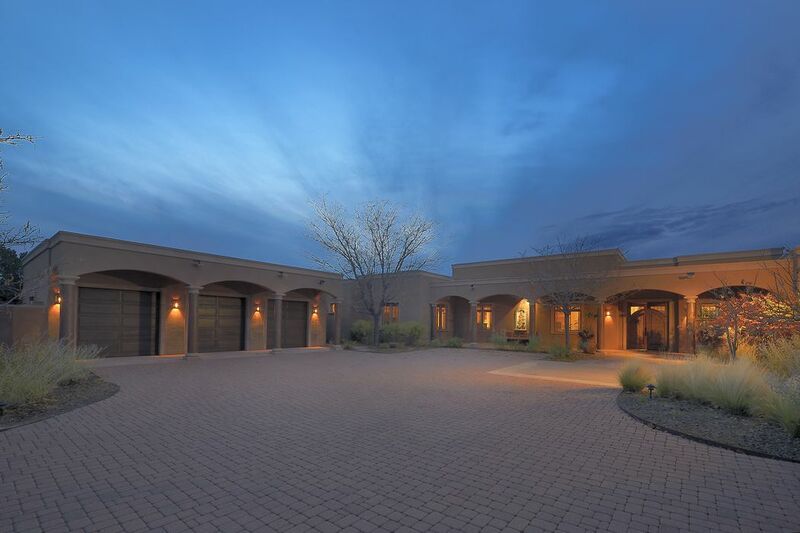 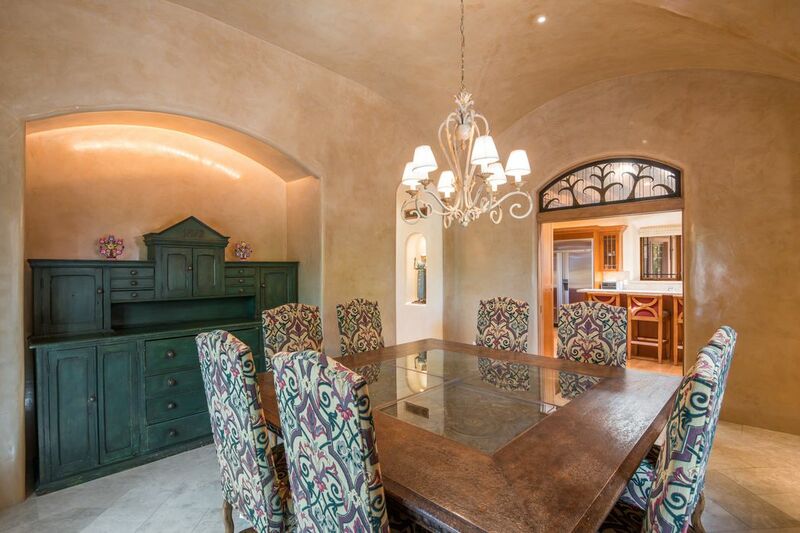 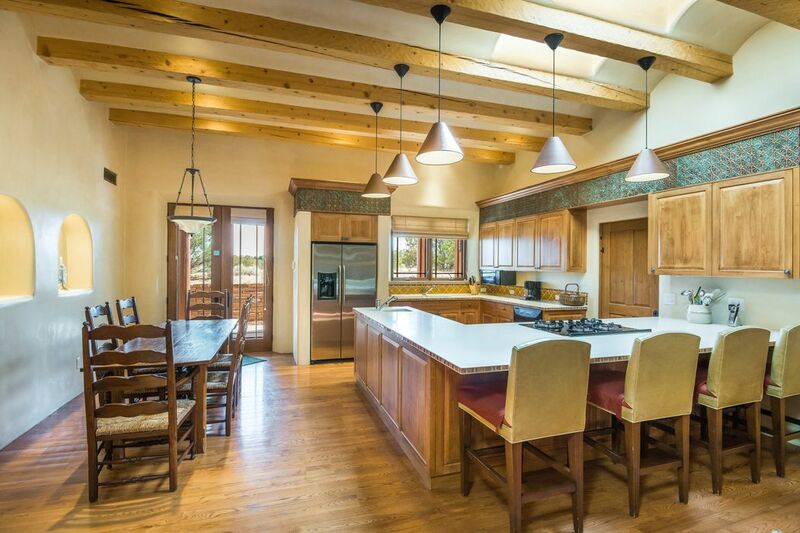 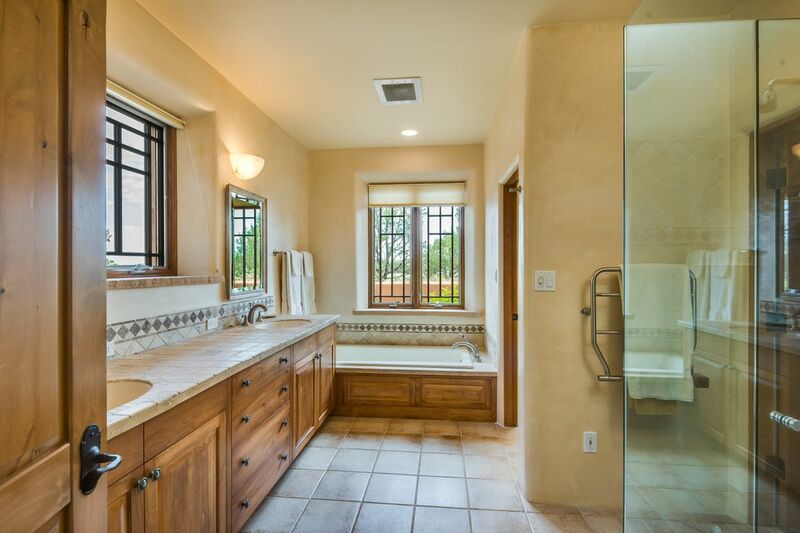 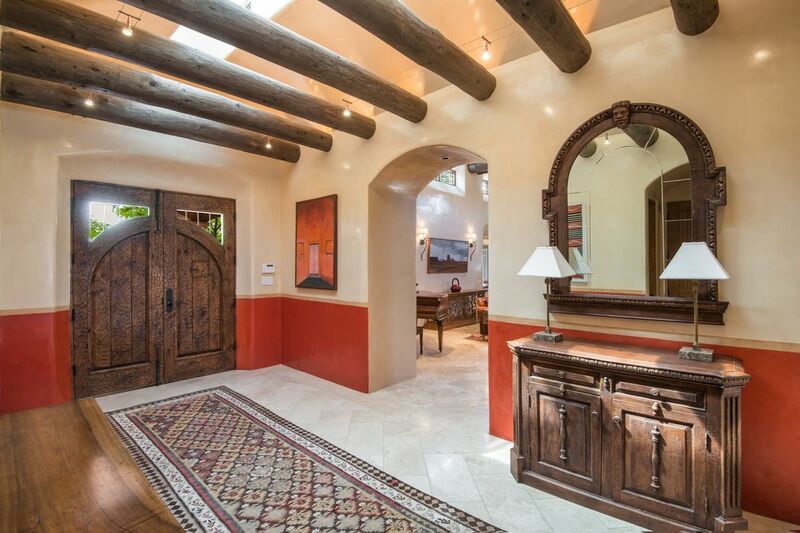 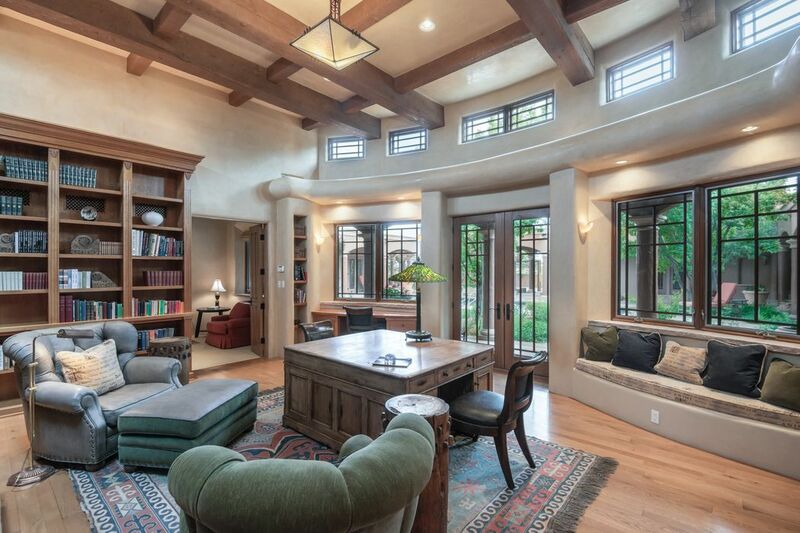 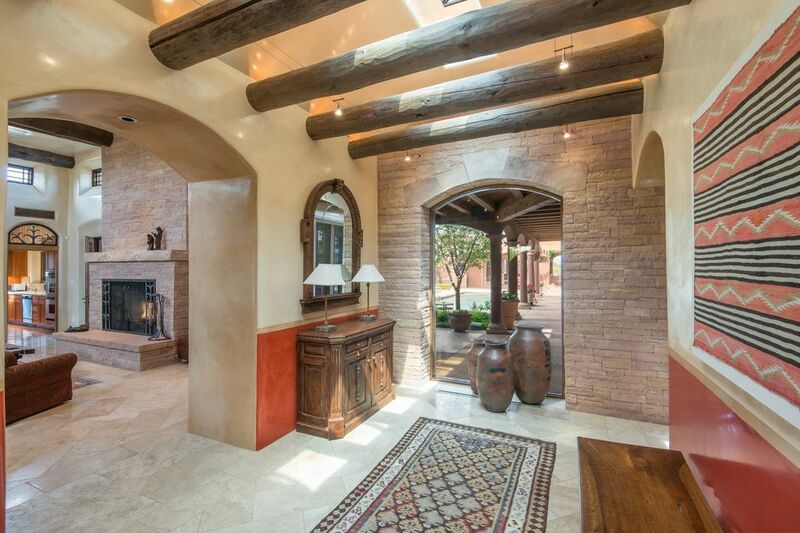 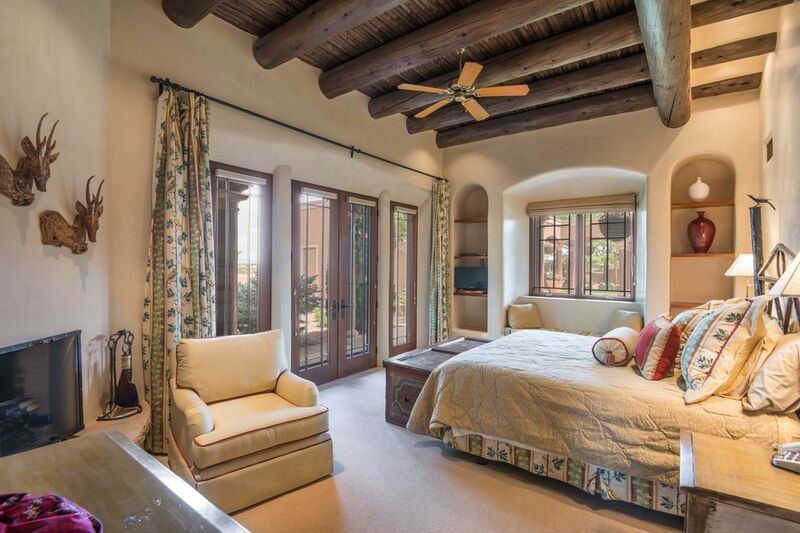 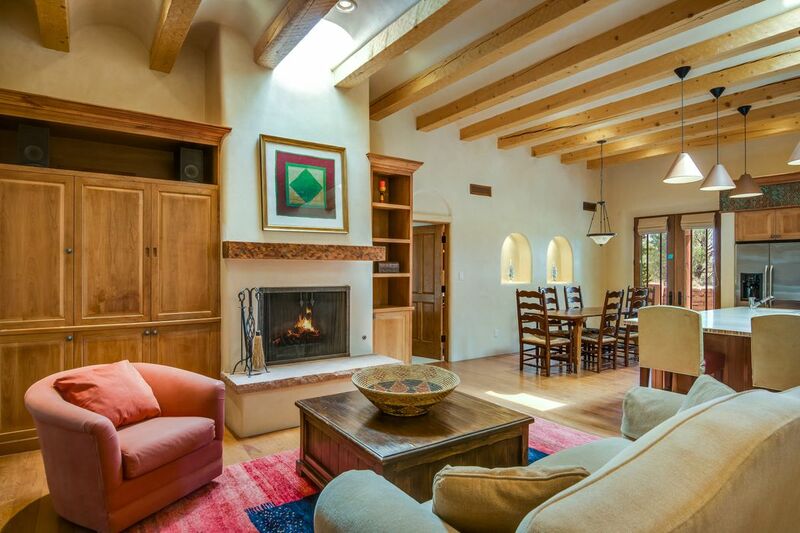 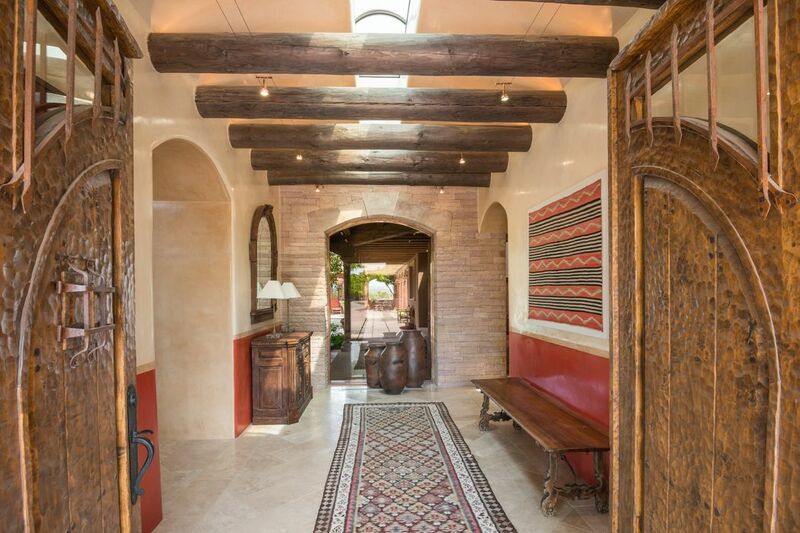 A fabulous layout with all the right spaces makes this home one of Santa Fe’s finest!